Skewer a banana on a paddle pop stick or icy pole holder. Gently press the crushed nuts onto the banana. Freeze on baking paper until ready. Notes... To make it even fancier, coat in chocolate and then add the nuts. Big banana family fan!!! My kids and I will love this one. My son loves bananas. Bet he’d love this one. Thanks for sharing. Great for when the weather warms up. What a great combination and so easy. Simple but also tasty and nutritious. Having been quite ill after eating frozen bananas I bought that had apparently been brown on the inside I am not tempted to try this. It resulted in me going to hospital as I was unable to stay hydrated. I gave some of the same hand of bananas (not frozen) to my niece who discovered 2 days later that all of them were brown on the inside. She did some research plus spoke to the manager from the shop she buys all her fruit from, apparently it would have been “off” due to a virus that was attacking bananas in Qld. what an idea !! and i love the chocolate tip fab !! Yum. Great for a healthy after dinner treat. 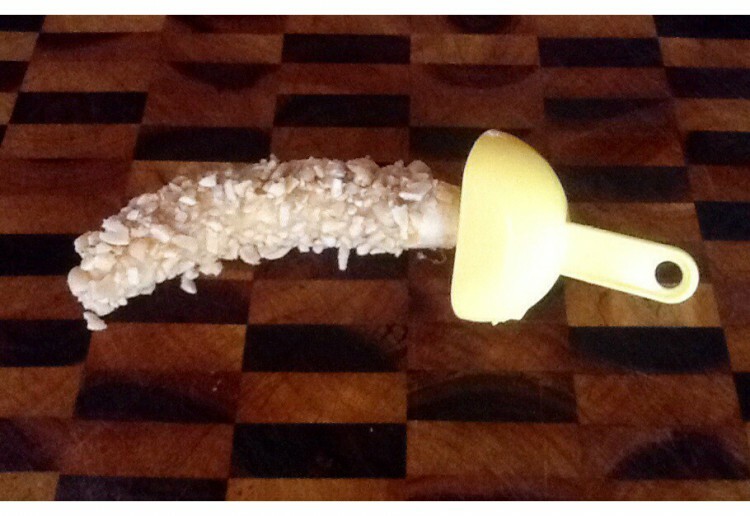 Frozen bananas – what a cool idea. what a great alternative to a icecream for hot days. love it!